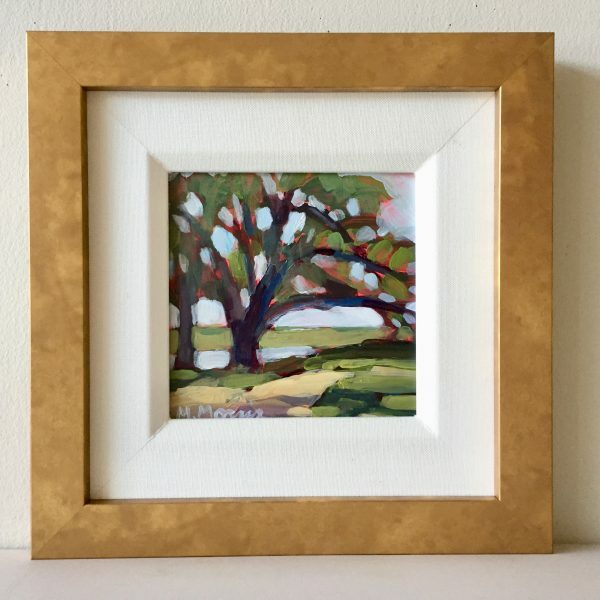 Original acrylic painting on 6” x 6” flat Ampersand® panel in a 1 1/8” soft gold frame with a 1 3/4” off white linen liner. 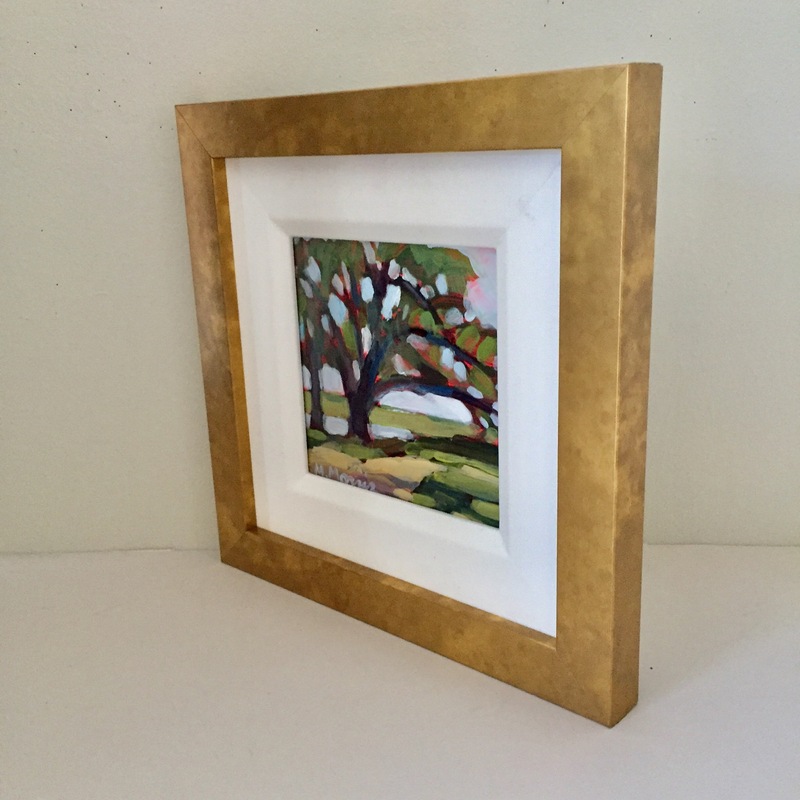 Dimensions with frame – 11 1/8” x 11 1/8”. The color palette primarily includes soft greens, muted grays and blues. 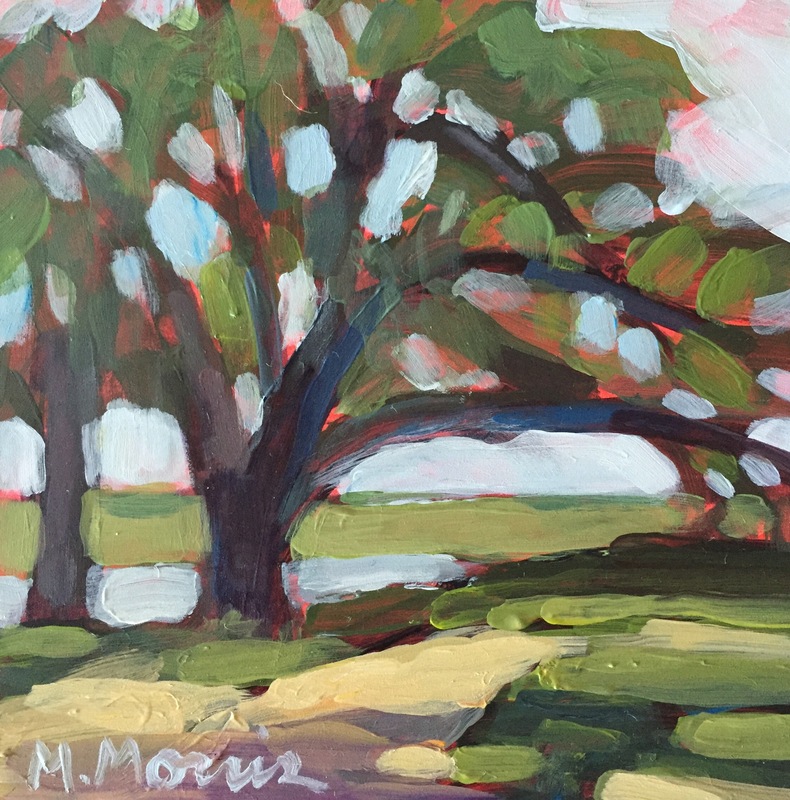 The painting is signed and titled on the back by the artist. It is wired and ready to hang.